Bypass Hard-wire relay bypass for equalizer L-R in-out plus silent opto switch for seamless stereo bypass. The Avalon AD2077 Pure Class A mastering equalizer is the most advanced, low noise, fully switched parametric equalizer available today. Designed for absolute signal integrity and musical performance, the AD2077 combines the best active and passive filter topologies for sonic excellence unequaled by lesser designs. The AD2077 is the perfect solution for two buss music-program equalization and ultra-high performance analog mastering applications. 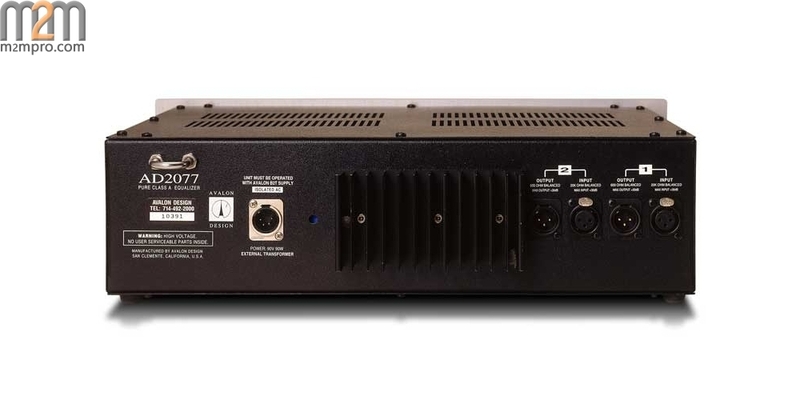 Features include state-of-the-art, balanced 100% discrete, Pure Class A signal amplifiers, practical user features and rugged hardware designed to deliver true high performance audio for many years. 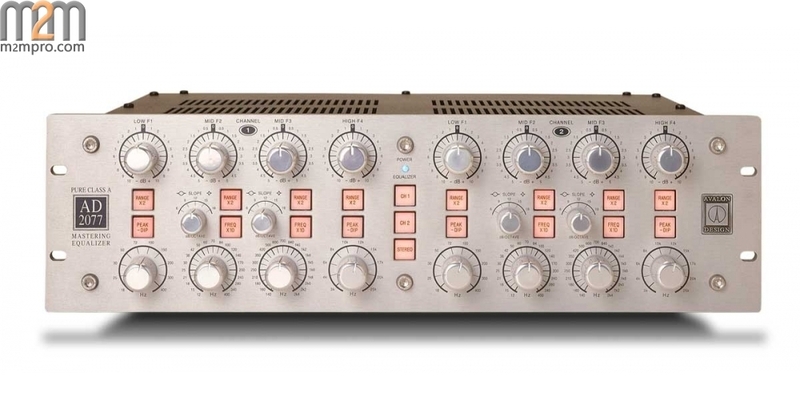 Avalon equalizers feature the unique combination of both active and passive EQ filters. This special combination enables the AD2077 to deliver high speed transient detail at the operational extremes of real-world equalization demands. The passive high and low bands offer alternate musical tone range to the full function active parametric mid bands. Passive equalizers have long been a favorite with music lovers around the world . 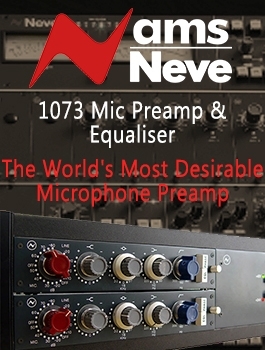 . . full bodied, powerful (up to +/-20dB, 40dB range !) and sweet frequency selections are the benefits of the passive high-low EQ bands. The full bandwidth twin mid bands provide switched frequency selection (X10 frequency multipliers for very wide range), switched Q (width) and amplitude control. 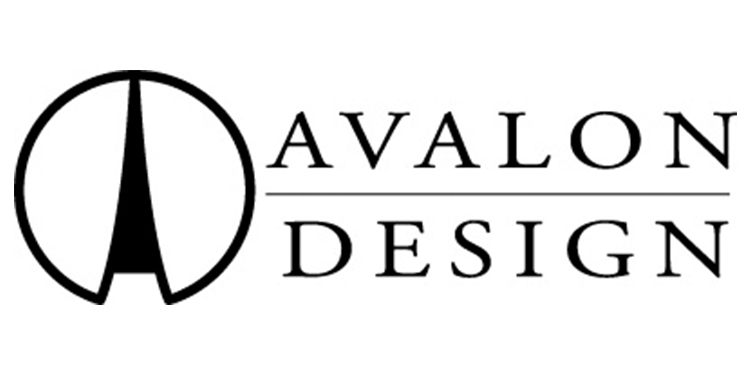 Avalon's true symmetry design offers high-voltage, large headroom, extended bandwidth and very low noise. The use of 100% discrete, Pure Class A signal amplifiers give the serious mastering engineer unlimited sonic character and a natural harmonic detail that enhances the program material and becomes one with the music itself.